You know what would make Alpio’s Cars & Coffee more fun? If you would bring your exceptional Audi to show off! 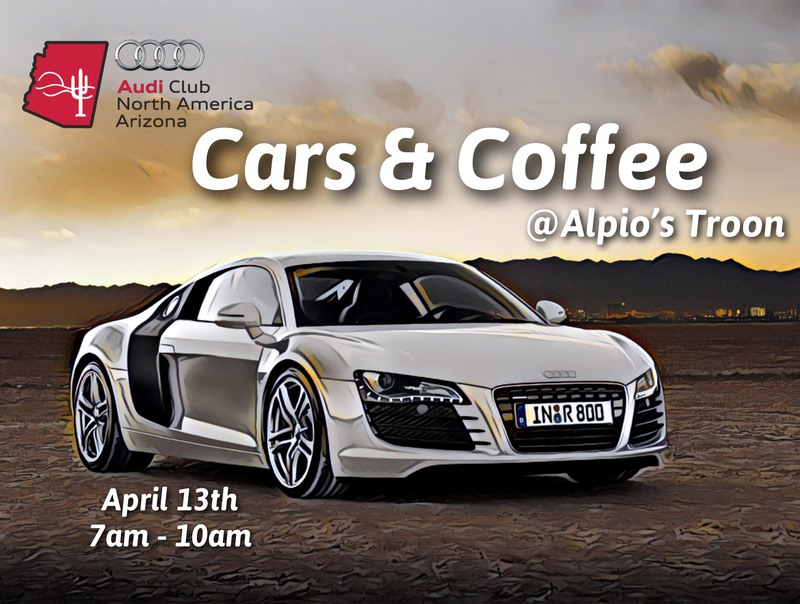 Come on Audi Club of AZ, we gotta represent and show our love for Audi at Alpio’s Cars & Coffee. It’s the 2nd Saturday of every month in Scottsdale at Troon from 7am – 10am. Hope to see you there.